Originally scheduled to release on 20th October 2018, EA and DICE have announced that Battlefield V has been delayed by a month, and will now release in November 2018. The reason for the delay is to further polish the game from feedback received during beta testing. An open beta test is just a few days away, and will give fans a chance to test the multiplayer mode before the full game is released. 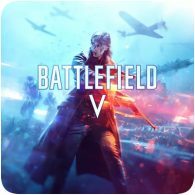 Battlefield V will now launch on 20th November 2018.